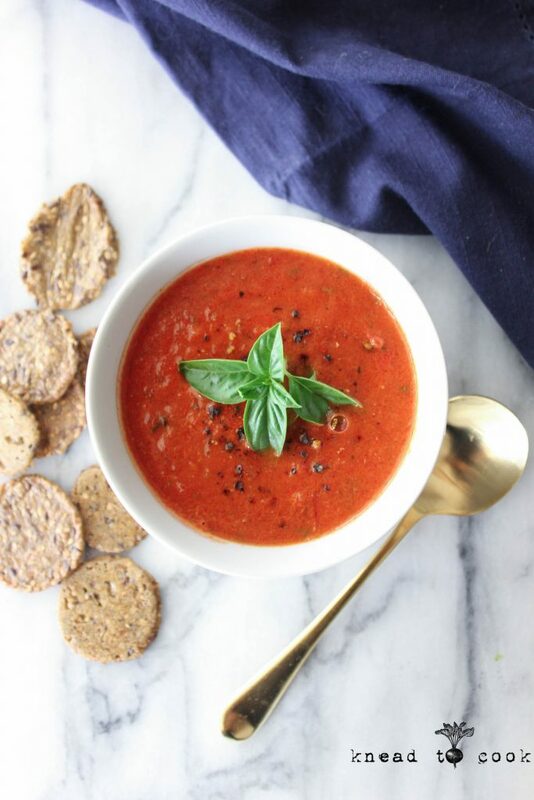 Roasted Tomato Coconut Soup. Vegan. Gluten free. Tis the season of tomatoes. The end of summer marks a bountiful supply of tomatoes in your garden, at the farmer’s market or local farm stands. You can get a case of seconds (you don’t need pristine tomatoes as your going to chop them up & roast them) in most cases under $12. 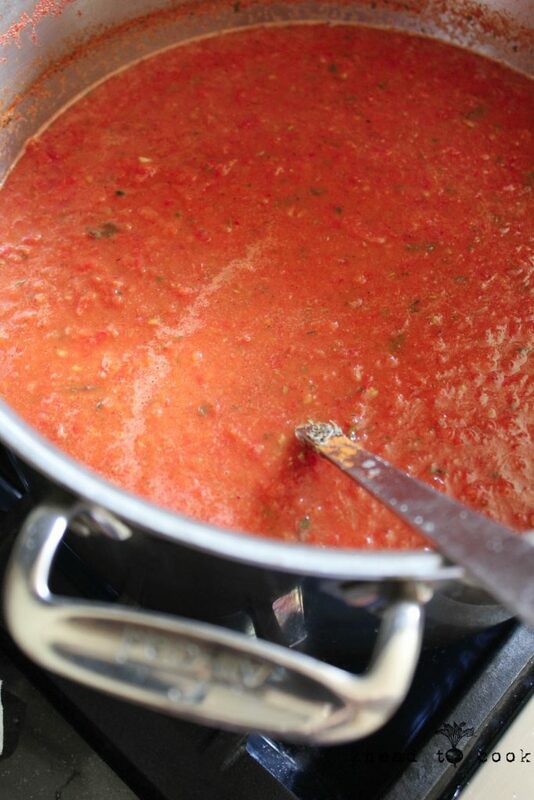 Out of one case of tomatoes I can make 2 large batches of this soup & several containers of marinara sauce recipe here. Roasting them & dividing them to prep differently allows you to work efficiently in preparation. Plus you can stock your freezer up for easy & flavorful dinners all winter long. My marinara sauce also doubles as our pizza sauce. 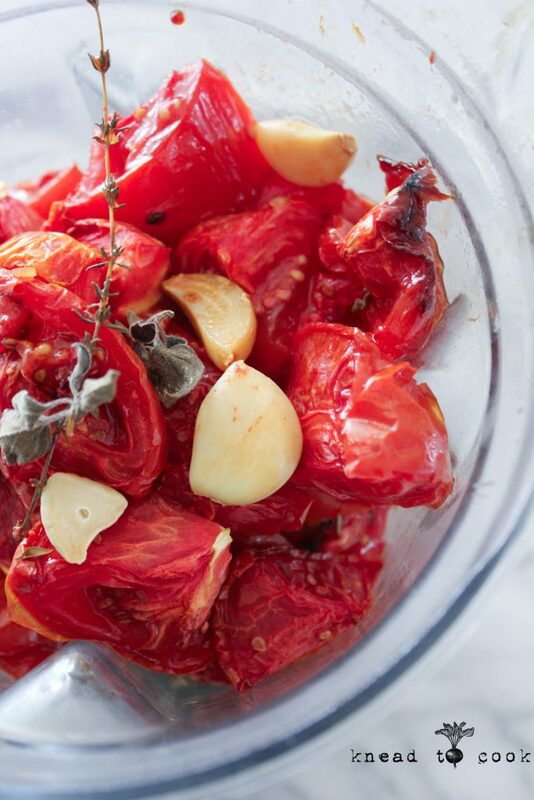 Endless uses and the flavor of roasted tomatoes is unparalleled. Seriously. Preheat your oven to 275 degrees. Using baking sheets with sides, drizzle the bottom of each sheet (you will need approximately 2) with a few tablespoons of oil. Core each tomato. Then slice in half then slice each half in half again. Place on the baking sheet. Repeat. Place your garlic cloves on top. Sprinkle or lay your herbs of choice on top. Season with salt and pepper evenly. If you don’t wish to use salt, avoid this step or use a sodium-free seasoning mix. Roast for 3 hours or more. You really have some flexibility here because you are cooking low and slow. Nothing burns and you can let them go as long as you like. I’ve roasted for up to 5 hours. Remove and let them cool. Place your tomatoes in a high powered blender and pulse only a few times to break the tomatoes down. 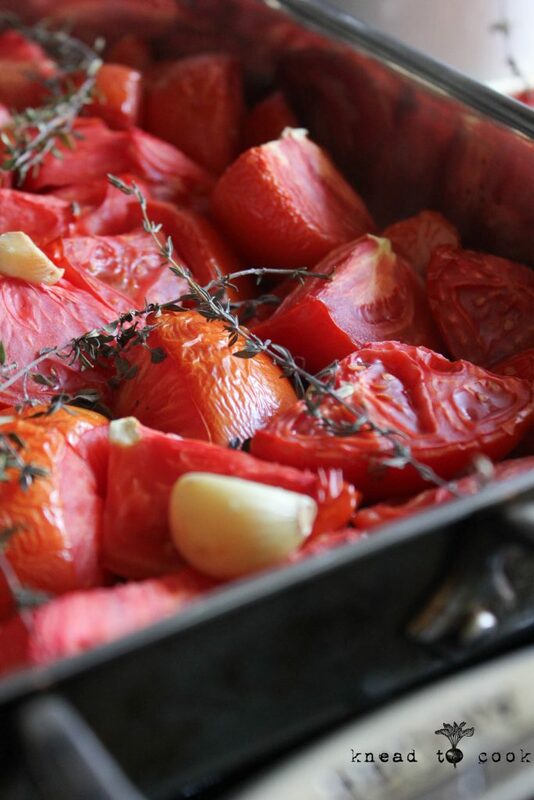 *If you prefer, you can add your tomatoes to a large stock pot and blend with an hand immersion blender. If you prefer a smoother soup, blend till creamy. Then add to a large stock pot and add the remaining ingredients. Simmer over a very low flame for about 20-30 minutes for the other flavors to develop. Serve immediately or let cool completely if freezing. Store in airtight, freezer-safe containers. 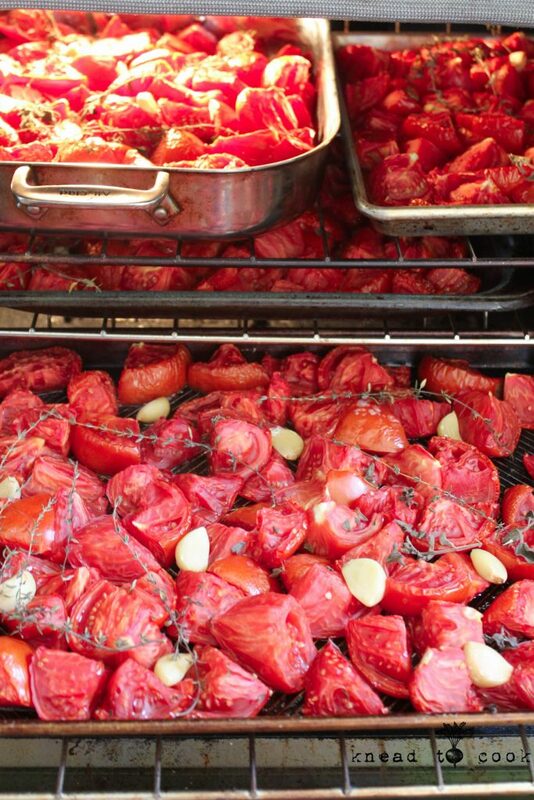 Let the hot tomatoes cool for about 8-10 minutes before blending in your Vitamix or with a hand immersion blender. Add to your stock pot and add your ingredients. Stir and let simmer. Monday: 8.33 outdoor miles (running) before sunrise – my happy time. Tuesday: Planned rest day or a late gym sesh as I’m traveling to my client to deliver food. That’s a wrap. Happy Monday! what a lovely recipe!! I can’t wait to make it on thursday. Thing is, I’m making it for a large group (60 people) and I was wondering how much this recipe serves so I know how much groceries I need to buy. Clare, I bought a case and split that to make soup and the remaining sauce to freeze for future dinners. I would say an entire case of tomatoes, roasted, would easily serve 30-40 depending on the size of the portion. You can also add veggie broth to stretch it as well. Hope this helps you and enjoy your party. 🙂 Please pop by local farm stands and ask them for seconds. You can save a lot of money and they work perfectly. Oh good question. Mine were beefsteak size and the case probably had 30 tomatoes approximately. I’m horrible at estimating food per person and always overcook when having dinner parties etc. Each tomato for me was the size of a softball for reference 🙂 Hope this helps.